The Convert Forms ZohoCRM Integration is based on the ZohoCRM API v1 which has been deprecated since 31, Dec 2018 and it doesn't work anymore. We're currently working on a fix but there's no projected date yet when the will be available. Until then, we recommend using Zapier to connect your forms with ZohoCRM and continue pushing your submissions. Learn How to connect Convert Forms with Zapier. Convert Forms offers seamless integration with Zoho CRM. Connecting Convert Forms to Zoho CRM's Modules is surprisingly easy. Follow our step by step guide on how to connect Convert Forms with Zoho CRM below. Click the Install button for the Zoho CRM Addon. If it's already installed you can move on to the next section. To setup a Campaign with Zoho CRM, follow the steps below. For the Sync Leads > Choose Service selectbox choose Zoho CRM . If you can not find the Zoho CRM option then you do not have the Zoho CRM Addon installed and activated. In that case, please go back to the top of the article and see how to install the mandatory addon. 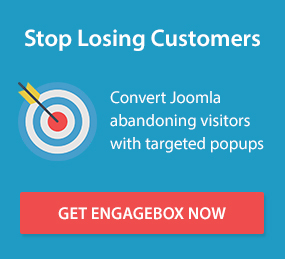 Save the Campaign for the special Zoho CRM fields to show up. The campaign options which will be available after the successful save are the following. Authentication Token (Required) The Authentication Token is a special alphanumeric string which is needed to identify your Joomla website with your Zoho CRM account. Read further below detailed instructions on how to obtain it. Module You can select one from three Zoho CRM modules to which you are going to save your Leads. Those are the "Leads" Module, the "Accounts" Module and the "Contacts" Module. Update existing user In case a subscriber with the same email changes his other data, you can set this option to "Yes" so that Zoho will get updated with the new data. Trigger workflow Depending on what you have set in Zoho to be done after a new Lead has been inserted, setting this option to "Yes" will set your rules into motion. The most common workflow is sending an automated welcome email to your new subscriber directly from Zoho. Approval Mode If you want to have a very fine control into which submissions do end up in your Zoho CRM account then setting this option to "Yes" will give you the opportunity to approve them first. To obtain your Zoho CRM Authentication Token you need to send an authentication request to Zoho by opening the following URL in your browser after you've replaced the [Username] and [Password] with your account's. Now that you have the Authentication Token you can paste it in back into the Zoho CRM Campaign Settings in your Joomla. In case you face any troubles with the Token generation you can find more details on the Zoho CRM official documentation page. A last step is the Zoho CRM Module selection through which you can choose between Leads / Accounts / Contacts. The module that you will choose in the Integration Settings will be populated with the subscribers of your ConvertForms. For a Convert Form to successfully store an email address to your Zoho CRM account it needs to have an email field. This field is already set up at the time of creating the form and you don't have to change its input value as it is already configured for you. With Zoho CRM you have a wide variety of other fields which can be populated depending on the Zoho CRM module that you have chosen. The lists below contain the field names that you can use.